Love is in the air…and going up in flames! What happens when Danceworks Performance Company and guest artist emcee Andréa Moser (What’s So Funny?, Mad Li(m)bs) are doused with sequins, feathers and audience suggestions? Torch song karaoke, broadway dance numbers and hilarious heartbreak! Help us tackle the comedy and tragedy of love and loss in an evening of romance on the rocks! Danceworks Performance Company is a dynamic group of dancers/choreographers that is committed to creating and performing contemporary dance that is physical, virtuosic, entertaining and honest. Collaboration fuels the creative vision of the company members as they regularly work alongside guest artists, including musicians, poets, visual artists, actors and choreographers. 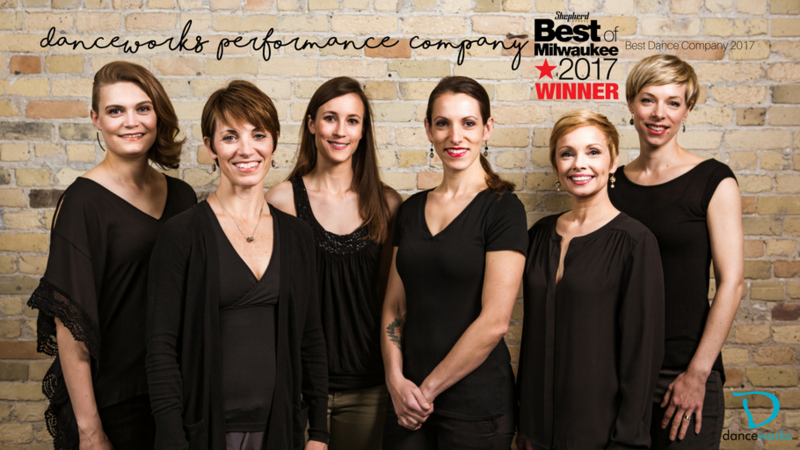 Danceworks Performance Company strives to make its work relevant and accessible to a wide range of audience members by regularly performing and teaching workshops and residencies in diverse communities throughout Southeastern Wisconsin.